We are well into 2017, starting the second quarter of the year. Time to check in on how the flow of your work space in your home is. Some of us work in an office building and some of us do work from home. Some of us are even luckier to be able to have the space in our home designated specially for a home office. Below are examples of really amazing and unique Home Offices that we were commissioned to create. 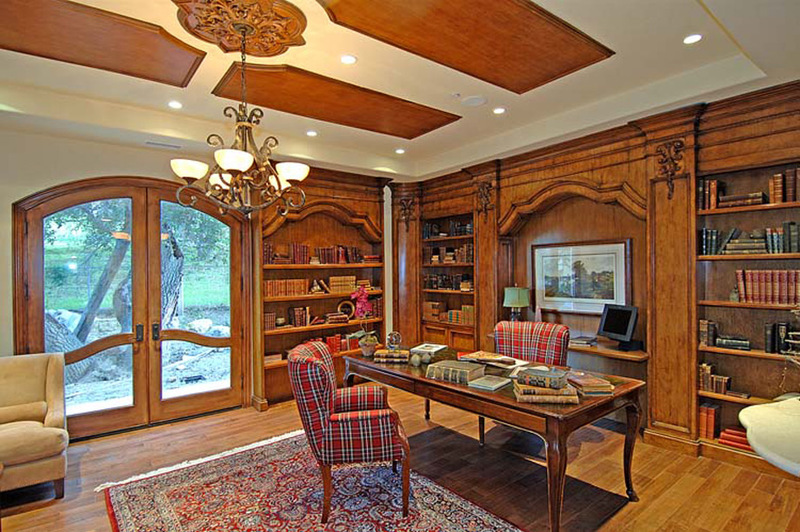 Custom Home Office – This home office was made in walnut and was finished in a rich stain finish. Do you notice the faces on the cabinet have a very subtle curve to them? This client also has the best idea. 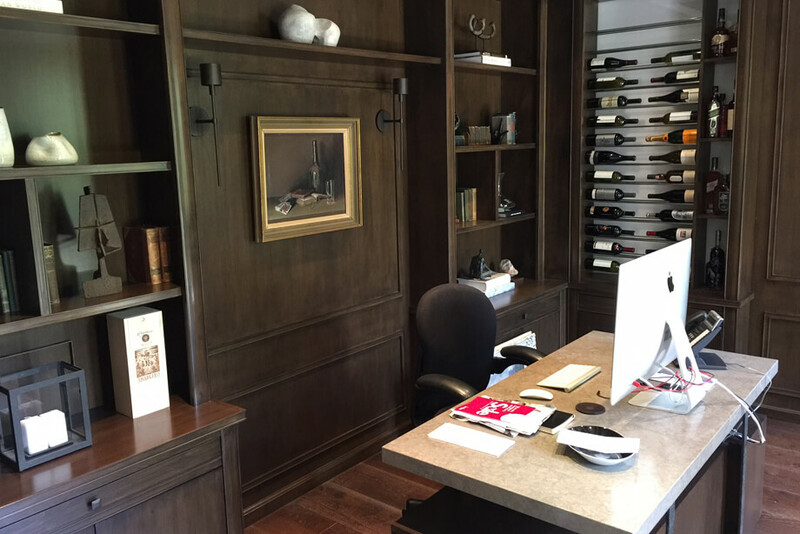 Why not have your wine or whisky bar combined in your home office. Cause if you have to work at home and catch up on paperwork and such, grab a glass of wine and enjoy yourself. Here is a custom home office with a built in library. This home office also has a built in library and a fireplace on the other wall. The carvings at the top of the columns were all carved by hand. What a beautiful place to come to relax, read, and get some work done. 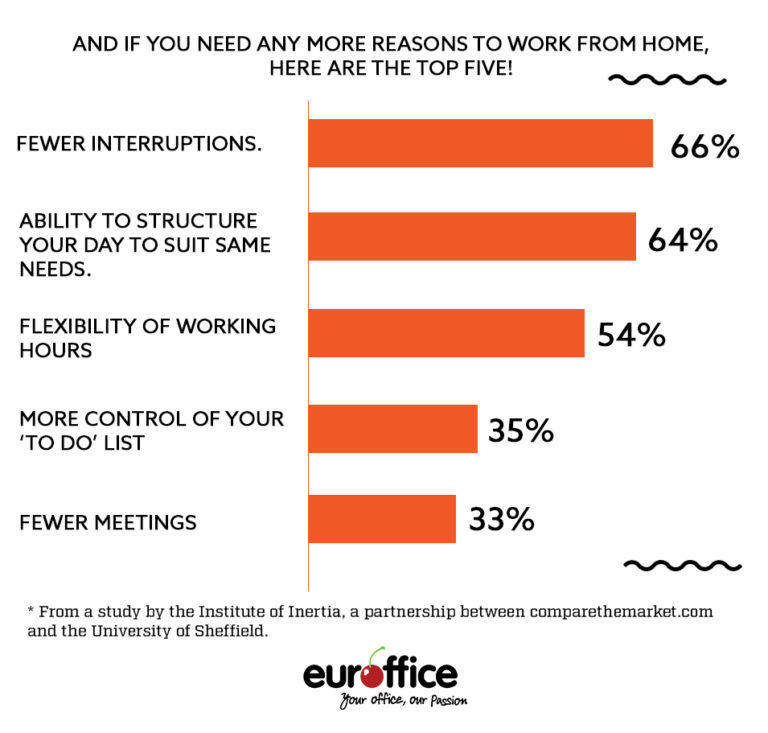 The above chart shows the Top 5 Best Reasons to work from home, and we couldn’t agree more! We would love to see your Home Office. Send over some pictures and let us feature them here. Have a client that is looking to create a beautiful custom home office? Please call or e mail us.